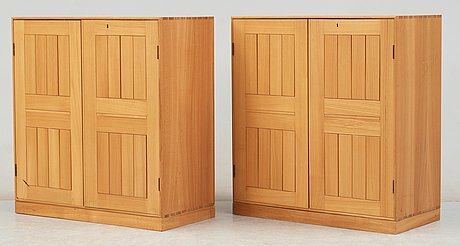 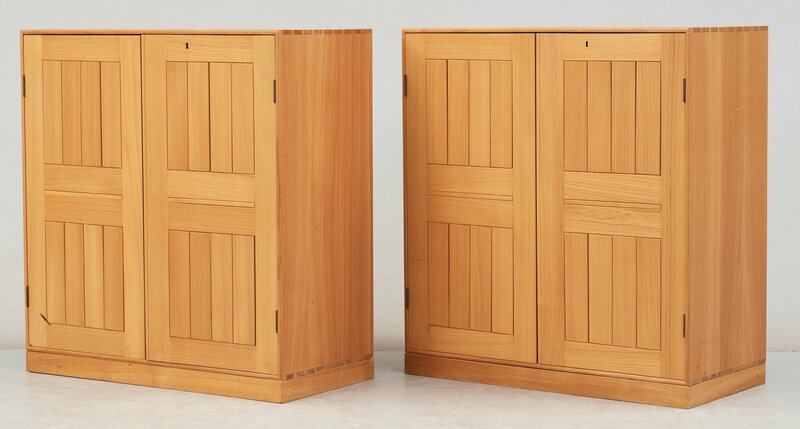 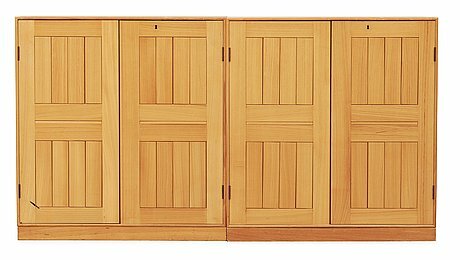 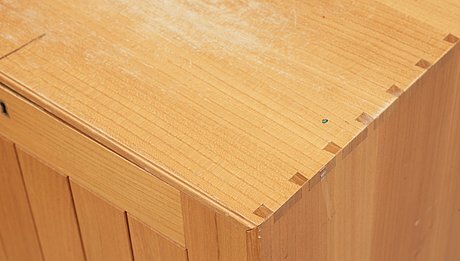 Two Mogens Koch birch cabinets, Rud Rasmussen, Denmark. 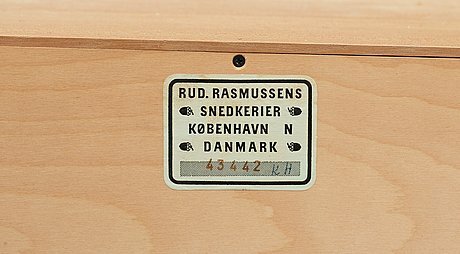 Label marked. 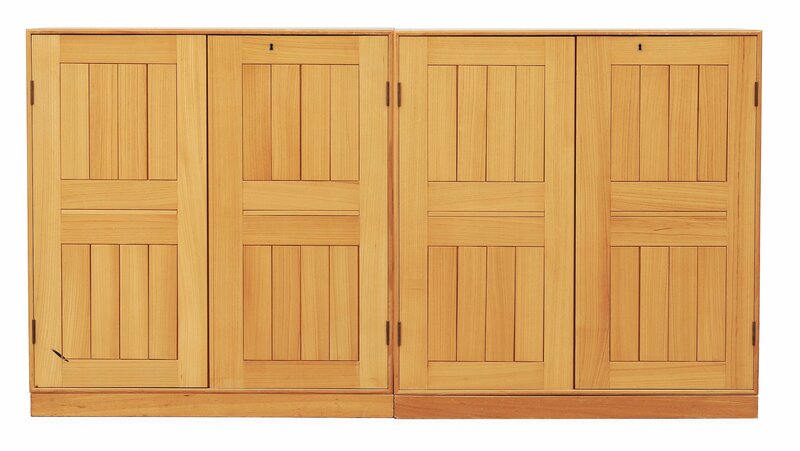 Width 76 cm, depth 36 cm, height 81 cm including the bases. Key included. 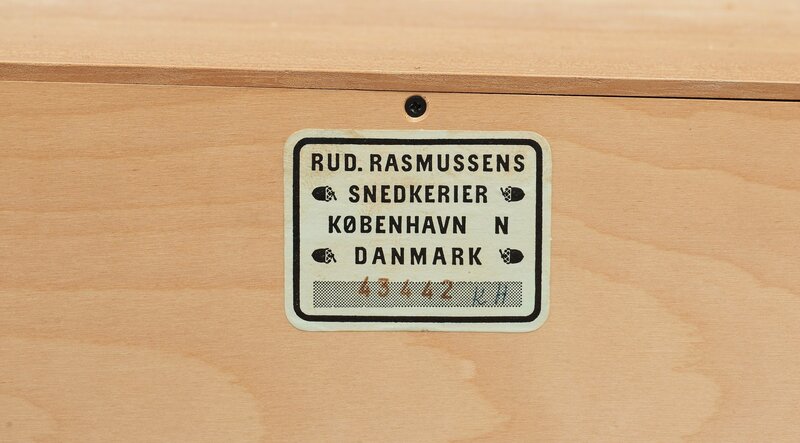 Designed in 1928-30, produced by Rud Rasmussen since 1932.